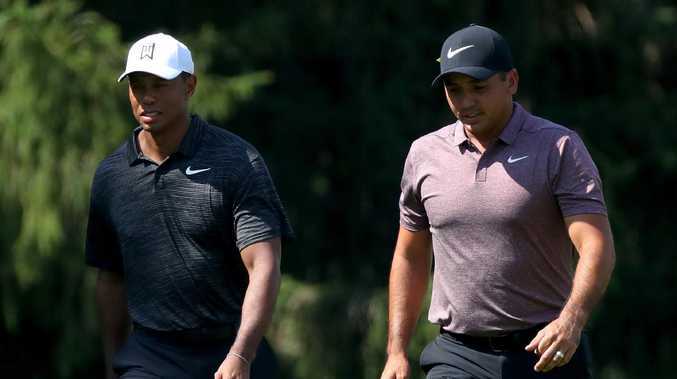 Tiger Woods says Jason Day ‘should be very proud of himself’. Picture: Getty. LAVISH praise from Tiger Woods isn't enough to make Jason Day satisfied with his lone major championship victory. It's been three years since the Australian star broke through at the 2015 US PGA Championship, but Day admits he demands more from his rare talent. "You always do, that's human nature. "If you win two majors, it tells you the first one wasn't a fluke; even though the way I won the PGA definitely wasn't a fluke." At Wisconsin's Whistling Straits course, Day became the first major winner to finish with a 72-hole total of 20-under-par. 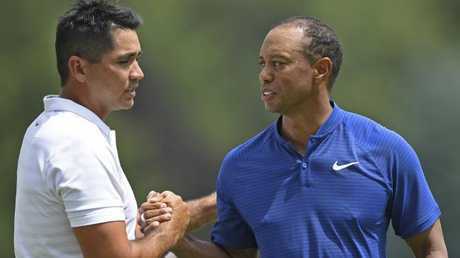 Close friend and mentor Woods, a 14-time major champion, says winning one of golf's four big trophies is a remarkable accomplishment given Day's cruel upbringing. 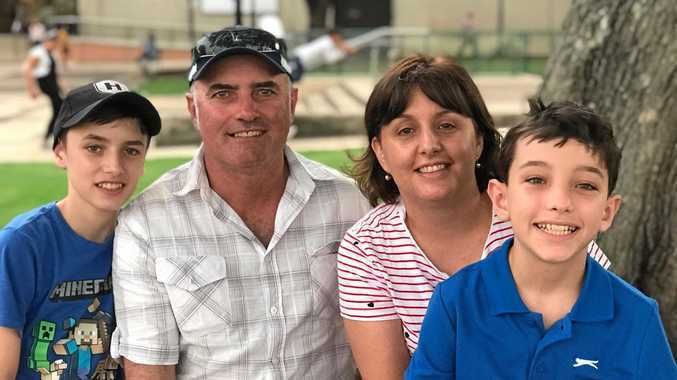 The Queenslander was being physically beaten by father Alvin before he died of cancer during Day's youth. "Well, it's not easy to win major championships," Woods said. 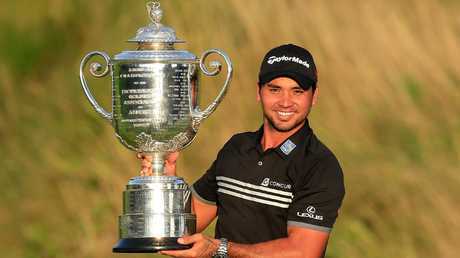 "He should be very proud that he was able to win a major after having a family. "Plus, the struggles and things he had to endure during his upbringing, he has fought tooth and nail to get to where he's at." Yet 30-year-old Day refuses to rest on his laurels, despite a career boasting 12 US PGA Tour titles, including two this year, as well as a long stint at world No.1. Day's closest calls have come at the PGA Championship, finishing second by a shot to Jimmy Walker during his title defence in 2016, before sharing ninth behind winner Justin Thomas last year. But they aren't the reason Day is desperate to hoist the trophy at Missouri's Bellerive Country Club this week. Jason Day broke his majors drought at Whistling Straits in 2015. "It's not so much the close calls driving me, it's more so the recent stuff that's happened and that I'm trying to win my second major," Day said, in reference to missed opportunities to win last week's WGC Invitational and the Players Championship in May. "It's great to win one and be classed as a major champion, but I want to do it multiple times in my career. "I want to try and win the grand slam in my career (all four majors), but mind you I would take 10 PGA Championships if that's what it had to be. "I've played very poorly over the past two years in majors, so I'm hungry to get back on top of that and try to get a win."